Photographer Wayne Eastep installing prints for the collection “The Living Seas” at Eastep Photography Gallery. The exhibit of images will be on display December 22nd 11 am to 4 pm at 1338 Central Avenue Sarasota, Florida 34236. The images are being offered to lift our spirits after the depressing experience with “red tide” along the coast of Sarasota in recent months. These beautiful underwater images were photographed in the Carribean, the Florida Keys and the Gulf of Mexico. They show what a healthy marine environment looks like. 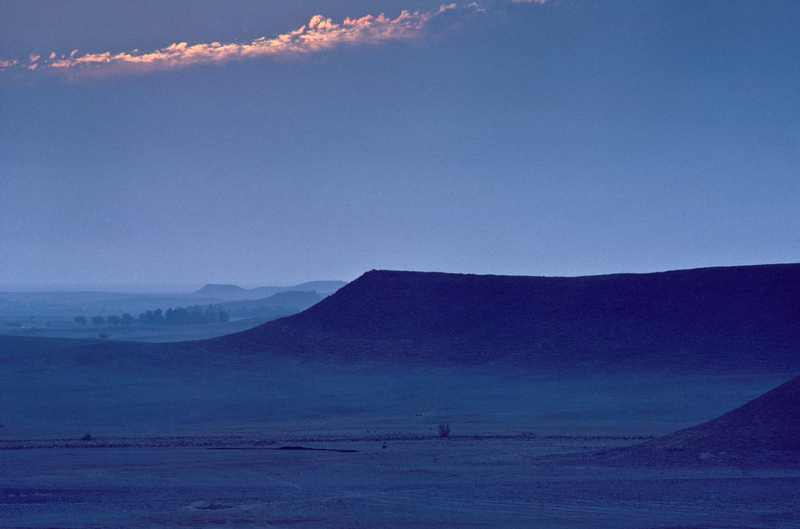 Sunrise in the Najd, or “highland,” the central region of the Arabian Peninsula. The dromedary camel walks moving both legs on one side then the other while its body rolls side to side. This seesaw movement can cause a storage bag to rub against the camels body developing a hole. As best I can tell this is what most likely took place on one of the caravans crossing the Arabian desert. Numerous caravan routes criss crossed Arabia. This image is of one traversing the Najd in central Saudi Arabia. Along this ancient trade route a hole wore into a bag carrying iris bulbs. The seesaw movement of the camel deposited bulbs along the desert floor. Wind blew sand over the bulbs and they lay dormant until in the spring the winter rains enable the iris to bloom. Lake Ush-Konyr is a one of my favorite places with no power lines in sight, silent and serene. Kazakhs consider lakes the eyes of the sky. Kazakhstan is a place of irony. Some of the worst man-made disasters; Aral Sea and Polygon have occurred in Kazakhstan. 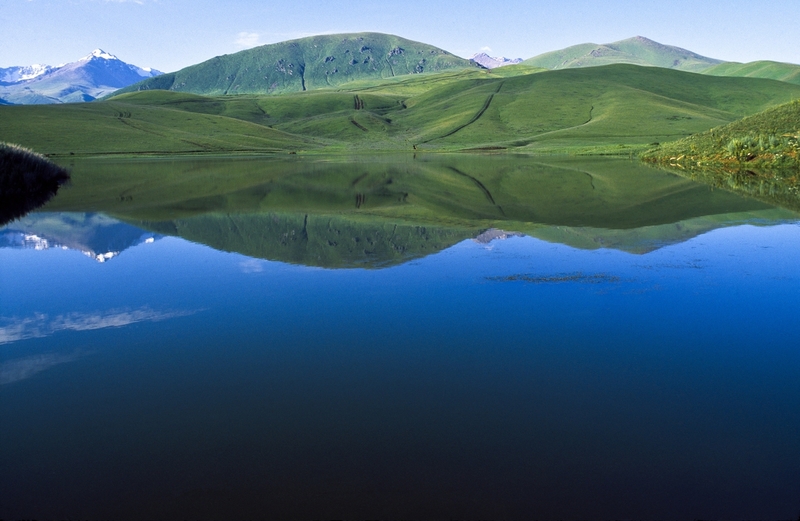 Some of the most beautiful and pristine places on earth are to be found in Kazakhstan. Photography has reached a strange place when I have to explain that “yes, that was the true color” and NO I did not create this in Photoshop, yikes! The place I made this picture is Mada’in Saleh the historical site of a Nabatean trading center in north-west Saudi Arabia. These folks were part of a group whose capital was Petra in modern-day Jordan. It is also the place the Ottomans had a railroad depot which T.E. Lawrence destroyed. It is now a UNESCO World Heritage Site. I made this image as part of a feature story of archeology for Smithsonian magazine. There are two reasons the color is other worldly. The first is the light in Arabia gets this way sometimes, that’s all I know. 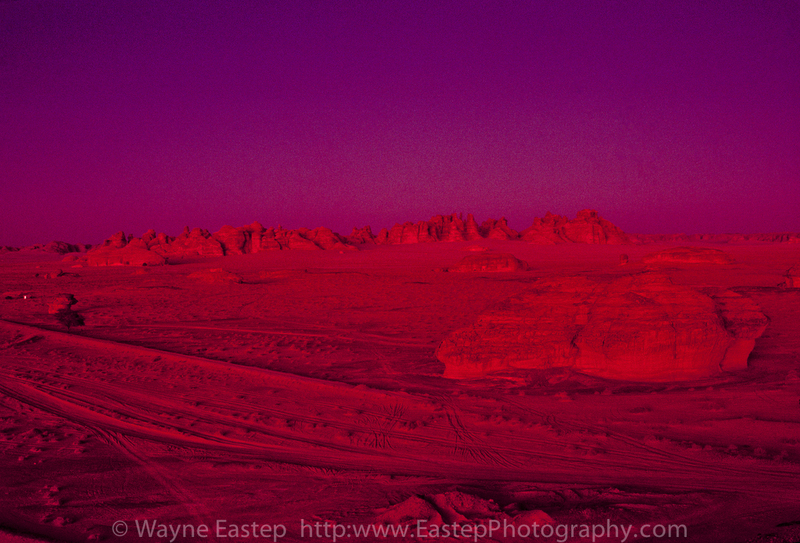 The second reason is I used a rare film Kodachrome Photomicrography which had insane saturation and detail. The ASA is 16. I did not add any color, the film simply recorded everything that was there.